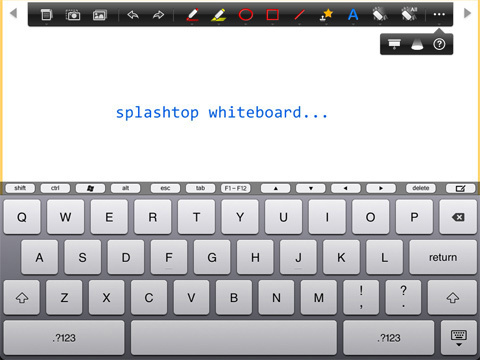 Splashtop Whiteboard features for iPad are available in Splashtop Business Access, Splashtop Classroom, and Splashtop Personal with Productivity Pack. 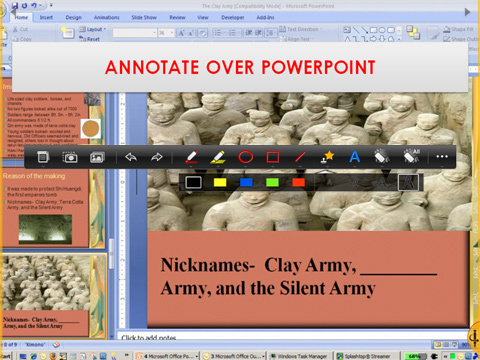 Teachers, students, sales professionals, trainers, financial planners – essentially any presenter – loves being able to easily highlight, draw, or write over presentations using their iPads and tablets. 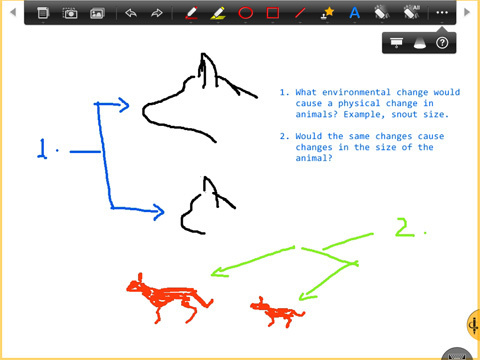 With Whiteboard, you can increase interactivity while you present, train, or teach. No longer hampered by pushing your slides or content from a PC, you can roam around the room and hand the iPad to a colleague or student so they can collaborate on content or work through an assignment with you. You have complete control over everything on your PC as if you were sitting in front of it. 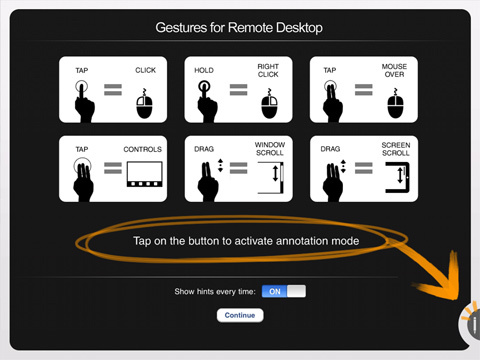 Annotate over ANYTHING – Use gestures to draw, highlight, or write over any content. Take snapshots of the screen and save them to the gallery, then share them. You can leave your PC on and connect to it remotely from the comfort of your home. No more late nights at the office or school preparing for tomorrow’s meeting or classroom discussion. Experience lifelike play back – All video and audio are played in high definition on your iPad. Play Adobe Flash content, iTunes music, DVDs, CDs, etc. as they were meant to be enjoyed but without any painful sync sessions. 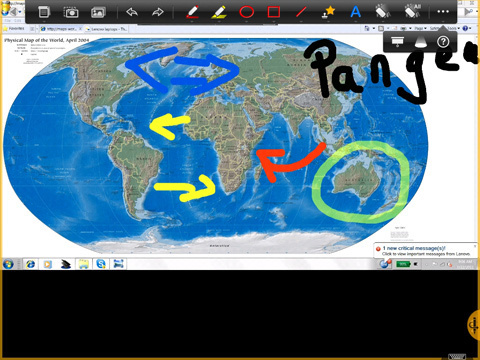 Whiteboard for iPad and Android is also available in Splashtop Classroom! 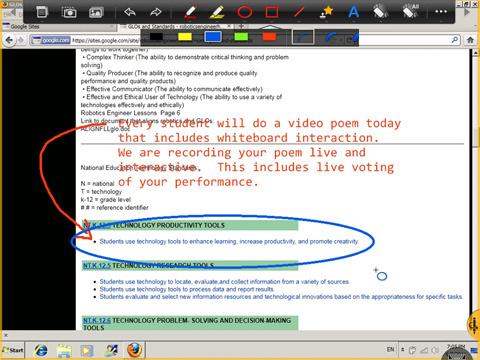 Now take student engagement to the next level by sharing your PC/Mac with student devices! 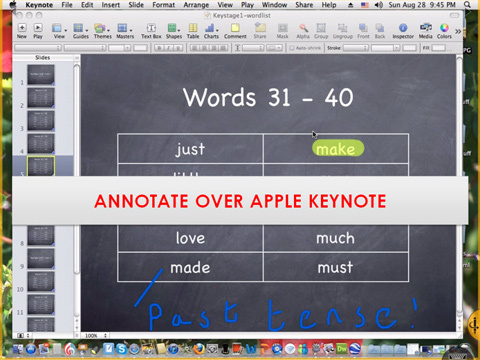 Let students see everything on your PC or Mac. 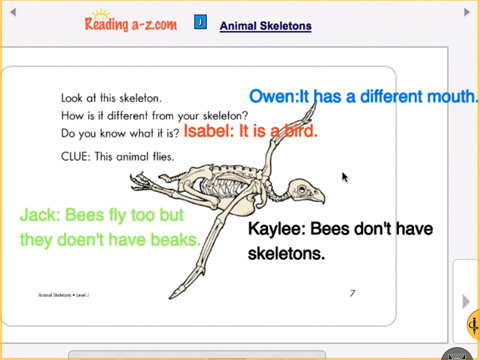 Pass control to a student and let them interact with the lesson without moving from their seats! 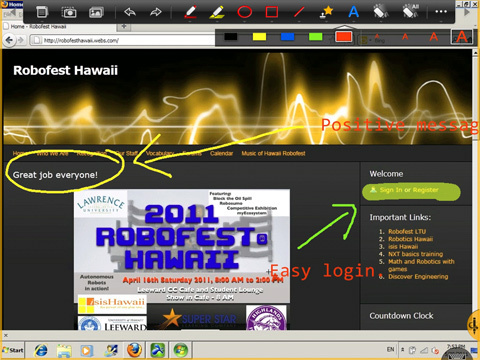 So ask your admin or IT team to sign up for a free trial today by visiting Splashtop Classroom page. And best of all, it includes Splashtop Remote and Splashtop Whiteboard and the school buys the product – not you! 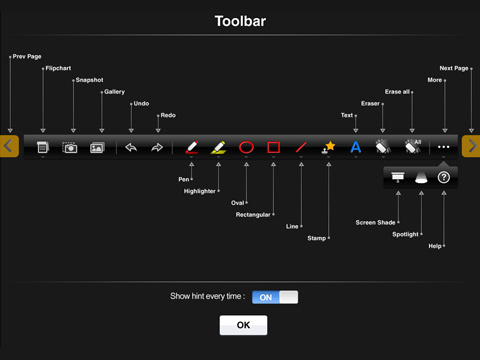 TOOLBAR CONTAINS ALL THE TOOLS YOU NEED! MAKE NOTES USING FULL KEYBOARD! 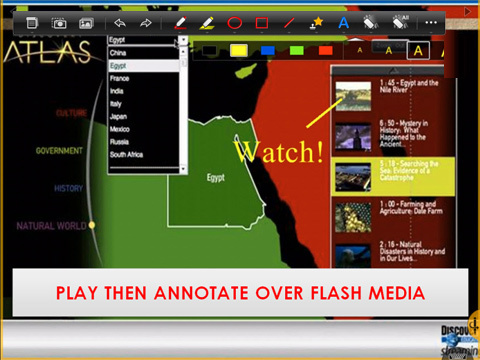 PLAY THEN ANNOTATE OVER FLASH MEDIA! 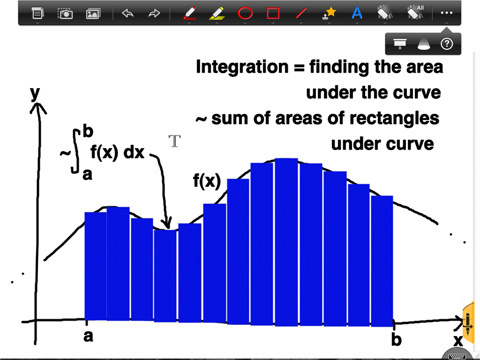 Did you know that you can add your own backgrounds to use with the flipchart tool? 2. 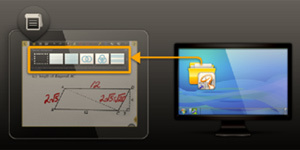 Copy the jpgs into the Whiteboard/(your iPad’s name)/Backgrounds folder (follow your desktop shortcut to locate this folder). Remember that Whiteboard creates a folder with your iPad’s name in the Whiteboard folder, so be sure to copy the files there! You’re ready to go !